Sunday’s is located in the Seattle area. This is a terrific salad dressing that you can use for many different types of salad. 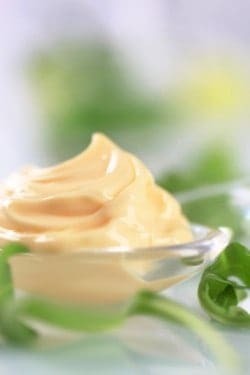 Sunday’s Special House Dressing is a creamy, spicy, and fresh tasting salad dressing that also makes a delicious dip for fresh cut vegetables. Looking for a salad dressing that is creamy, spicy, and filled with fresh herbs? You can make this salad dressing at home easily. Using a food processor, chop onion, and garlic , and put into the food processor, and grind it thoroughly. Place sour cream and mayonnaise in a large mixing bowl. Add spices, onion, and garlic and Tabasco Sauce. Pour this into the food processor, and mix until all is light and fluffy. Allow this to sit overnight in the refrigerator before serving. This is wonderful on both salads and fresh vegetables. How much is 1,5 pts in metric? Looks Yummy…Can’t wait to try this..Thanks…. Since I made this dressing, my family won’t use ranch dressing!! Even my 6 year old grandson will only use this!! Try it!! !